Foster Dad John has a new foster—meet Peaches Chutney. She is not a kitten but a beautiful elder calico. 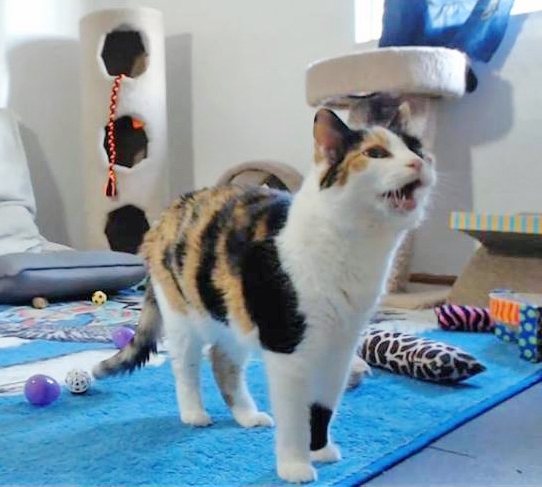 At thirteen she (along with four other older cats) was surrendered to a shelter. All five cats have hyperthyroidism, a common condition for older cats that requires treatment. Foster Dad John’s shelter, Purrfect Pals, rescued these five seniors from being euthanized as the other shelter could no longer keep them. Members of the Kitten Cam community raised over three thousand dollars in just a few days to secure medical treatment for these cats. And now Peaches Chutney (aka “Granny”) has won the kitty jackpot being placed in the home of Foster Dad John. John has a special affection for seniors as several of his own cats fit into this category. Do cats really sleep 16 hours per day? It’s funny watching the chat that goes along with the live Granny cam: “O! She moved.” “Cute meow!” Obviously not a lot of action from a senior. Cats are reported to sleep some sixteen hours a day. We’re getting a first hand look with Lady Peaches. Peaches is a cat that I instantly want to scoop up into my arms. Senior cats can be so loving and affectionate. 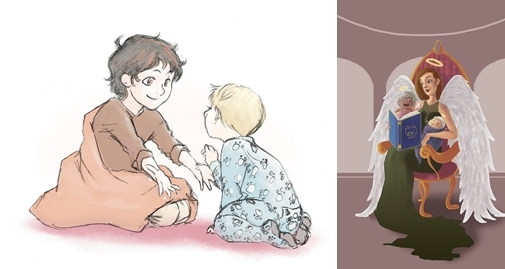 I remember my Noah, standoffish and grouchy most of his life until he hit fifteen; then he turned into a total love. Bacci was a senior I adopted from my late mother’s nursing home and I lost my heart to him the day he tapped me on the arm with his giant mitten paw. And I love how Foster Dad John’s “Granny cam” brings that point home. This Granny cam is such a wonderful way to promote the idea of adopting senior pets. They have a lot of love to give and want all the love you can give in return. Old is good but old is also scary. You take risks getting attached to seniors. They have health problems. They suffer and sometimes they get crabby because they hurt. And they pass away and break the heart you gave so freely to them. Elderly cats. Elderly people. 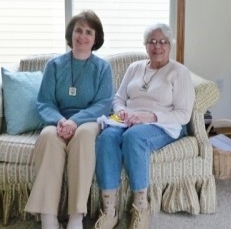 My best friend just turned eighty and I am fifty-nine. 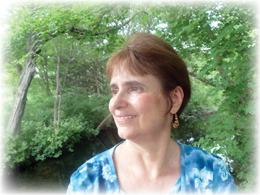 Jackie is deep, gentle, loving, funny and empathetic. I can’t imagine my life without her but I know that time will be coming sooner rather than later. I know it’s risky to give my heart away so totally to her but I can’t help it. It’s worth my heart being busted to pieces just so I can be a part of Jackie’s life, even for a short time. John and Peaches. Me and Jackie. 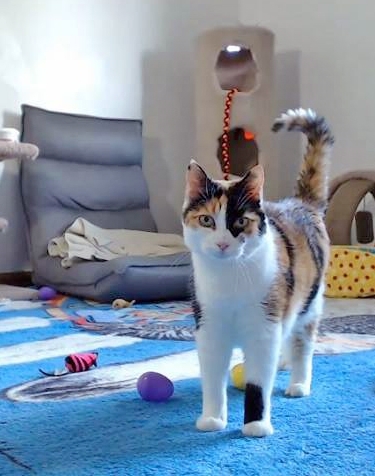 Check out the Granny Cam on Livestream and see Peaches in action (though likely she will be sleeping :-)). Give a gift of kittens to your friends while supporting a no-kill cat shelter – 20% Off on The Critter Room Memory Book! Wondering what to give your cat-loving friend? How about giving twice with just one purchase? tons of color photos from Foster Dad John, “Mr Ripley” (James Petts) and Tam Woods including closeups of your favorite kittens and mama cats. Lots of Facebook screen shots. Purrfect Pals, the fabulous no-kill cat shelter that sponsors The Critter Room receives $7.15 for each book sold. I have been watching the Foster Kitten Cam and share the experience of the community described in this book. It seems to me that different people understand the kitten cam in different ways. Some just enjoy seeing cute kittens. Others learn about cats and fostering. Susan Hoyle Bailey shares my perception of the kitten cam as a force for the good in the lives of all involved. The experience brings out empathy, altruism, and generosity in the viewers, and we learn these qualities from Foster Dad John and from each other. I watch for more than just loving the kittens and cats; I watch because I know this is a community with a positive impact on the world. I would like to think that the goodness shared in the community ripples out and touches the lives of others, even those who really don’t get why we watch and care so much. Thank you for expressing the goodness of the kitten cam community so clearly, and sharing your thoughts with the world. Introduce your friends to the wonderful work done by Purrfect Pals including their Foster-Prison program which is now socializing two of Foster Dad John’s kittens, Ellen and Luna. Get The Critter Room Memory Book Volume One for the cat-lover in your life or treat yourself to a copy. Thank you for your support of Purrfect Pals. Thanks to all of you who have ordered The Critter Room Memory Book Volume One – so far we’ve raised over $900 for the Purrfect Pals no-kill cat shelter (exact figures – 102 books sold, $910.68 USD; £17.20 GBP; €17.28 EUR). I just wanted to let you know that I received my book today. All I can say is….. MARVELOUS!!! This book is a wonderful reminder of all the work and effort John puts into all his fosters. I laughed, I cried. I remembered. The only John left out in his interview is how Dorian flirts with each Momcat. LOL This is great fundraiser for Purrfect Pals. I can’t wait for the next volume. Well done to everyone who was a big part of the creation of this book. A lovely book! Perfect for any fan of The Critter Room or, really, anyone who loves cats and kittens. Looking forward to Volume 2! Critter Room Memory Book Volume One is PAWSOME! Received my book yesterday and had to look it over on the spot. In a word: PAWSOME! Even if you are not a follower of The Critter Room, the stories about these kitty families, coupled with the tireless efforts Foster Dad John and Purrfect Pals, is absolutely heart warming. I love the fact that you have their early days chronicled in front of you and can the follow them on Facebook to see where they are today. Can’t wait for Volume 2! What a wonderful book. Foster Dad John and Purrfect Pals will touch your heart. How about buying two or three extra books to send directly to Purrfect Pals so they can sell them in the store? That doubles the donation and exposes more people to the book. Contact Connie Gabelein on the Purrfect Pals website to let her know of your intention and to find out the shelter’s address. 3. The fan fiction by Jill Pickford and Annie Staats which includes “Over the Bridge” and Ray’s letter to Trillian. Thanks for all your support of Purrfect Pals! There is something here for everyone, including Purrfect Pals. 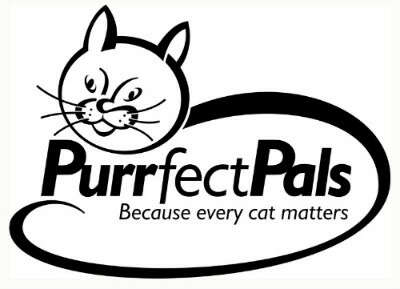 Purrfect Pals, located in Arlington, WA is the no-kill cat shelter that sponsors The Critter Room. Your purchases will help Purrfect Pals find homes for deserving cats and kittens, including cats with medical conditions. Foster Dad John volunteers for the shelter; they provide him with the food, litter and veterinary care needed for each of his litters. for every book sold, they receive $10.25. Just what is The Critter Room? 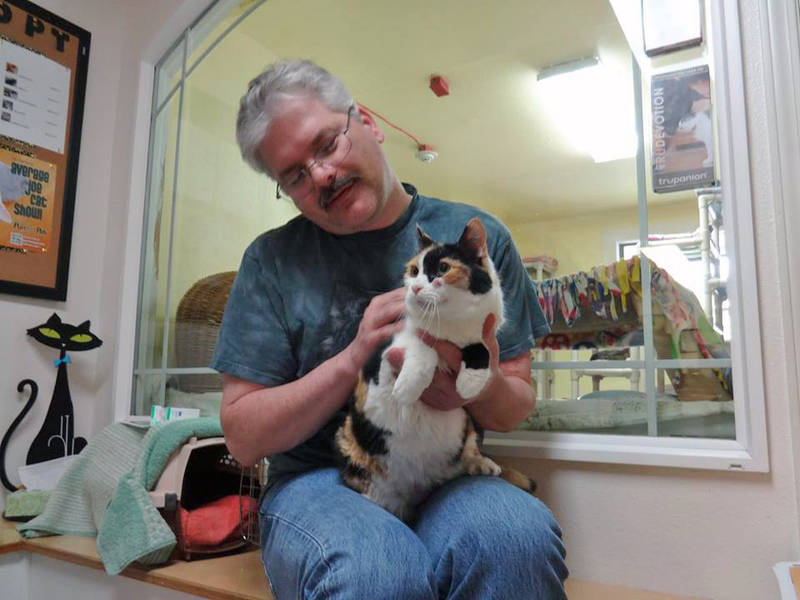 Are you a cat lover but have never heard of The Critter Room or Foster Dad John? Check out the live kitten cam on Livestream – I dare you to tear yourself away. Then check out The Critter Room Facebook page for more information on all the good work being done by Foster Dad John (John Barlett). Then rush right back here and place your order! People are benefiting from The Critter Room as much as cats and kittens. With over 37,00 followers on Facebook and over 42,000 followers on Livestream, we should easily be able to sell 1000 books by October 1st, giving Purrfect Pals a donation of $10,350. We depend upon you to spread the word. Share on all your social media: Facebook, Twitter, Pinterest, Google+ and on your websites and blogs. 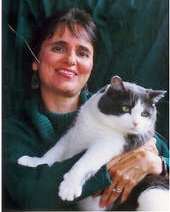 Tell your cat loving friends about The Critter Room Memory Book Volume One. Go to Amazon.com and write a review after you’ve received your book. Here are the links for Amazon in Europe: Amazon.co.uk, Amazon.de, Amazon.fr, Amazon.it, and Amazon.es. Leave comments on this page with suggestions on blogs and websites that I can contact to promote this book. 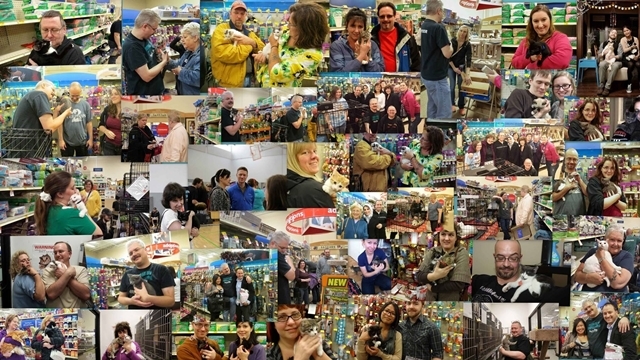 1000 books sold = $10,000 for Purrfect Pals. Let’s sell 1000 copies by October 1! My thanks to John Bartlett, the photographers, screen shot shooters, artists, writers, my proofreader and Connie Gabelein, Executive Director of Purrfect Pals for making this book possible and for making it a joy to put together. I have personally wanted a book I could pull out with my favorite kittens inside and now it is here!